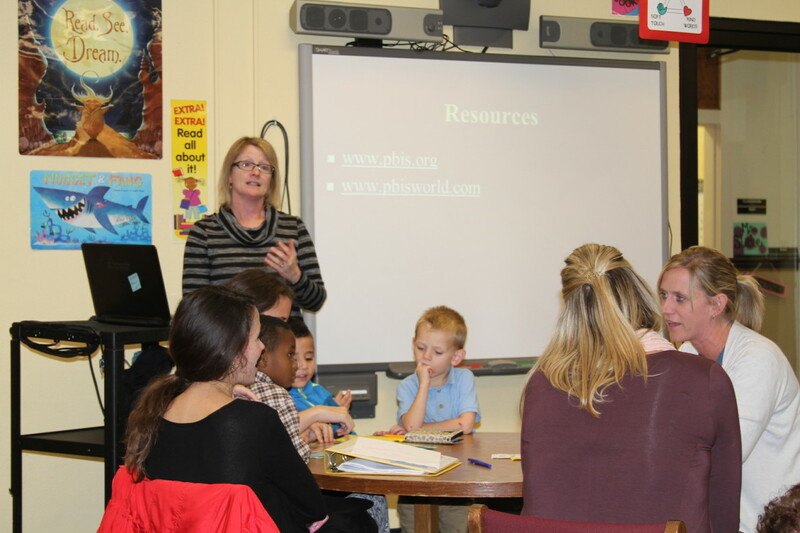 Karle Crews-St. Yves, in the striped shirt, a student behavior specialist, conducts an overview of discipline training at Putnam Heights Elementary School in Oklahoma City. The training is part of an effort to cut the suspension and expulsion of students while still improving student behavior. A series on discipline of special education students. School districts in Oklahoma and across the nation are looking at revising their discipline policies to keep at-risk and minority students in the classroom, instead of expelling and suspending many of them. But reform efforts have not come easy. In Oklahoma, a review of federal and local discipline data shows minority and special education students are disproportionately suspended, expelled or referred to police as early as elementary school. Teri Bell, executive director of student support services at Oklahoma City Public Schools, said districts need to change how they discipline students because a focus on suspensions and expulsions is not working. Resistance is coming from some teachers and teacher groups, who are skeptical that districts will adhere to policies and thus jeopardize teachers’ safety and the learning environment. The challenge of teacher buy-in was evident at a November school board meeting for Oklahoma City Public Schools. Ed Allen, president of the Oklahoma City American Federation of Teachers union, got into a heated exchange with board member Bob Hammack over changes to discipline policies already underway. Allen said a survey many showed teachers do not feel safe in the classroom. “Now you know, because an AFT survey revealed the ugly truth about what really happens in schools and classrooms across our district,” Allen said. Hammack said the survey does not represent the views of all teachers and that the district can’t keep suspending and expelling students and expect better academic results. Hammack criticized Allen for making it sound like each classroom needs armed guards and that schools should be run like prisons. Greta Colombi, a senior researcher at the American Institute for Research, said getting teacher agreement is one of the biggest stumbling blocks when reforming discipline practices. According to a research institute study done for the National Association of State Boards of Education, 13 states have statutes directing schools to make changes to improve student behavior, and seven have legislation aimed at revising discipline practices. A dozen large, urban districts have overhauled their codes of conduct. The push comes as a growing body of research shows a reliance on discipline has not improved academics or student behavior. At Carencro High School in Lafayette, La., an increase in freshman math scores and a decline in suspensions and expulsions were attributed to overhauling the school’s code of conduct, according to the state boards association study. The school also brought in new teachers who agreed that improving the school’s climate should be a priority. Oklahoma City is looking to implement or strengthen programs used in other districts across the nation. Many include training on using alternatives to traditional discipline. Their goal is to reinforce positive behavior and address why a child is misbehaving. 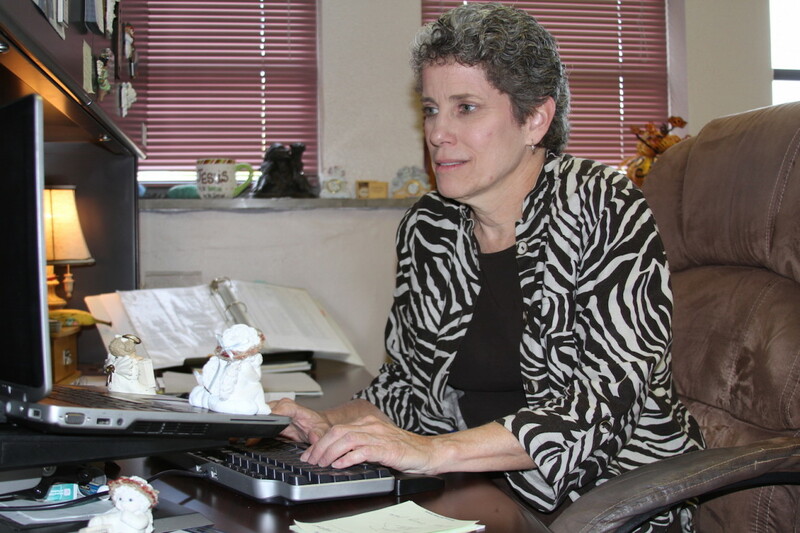 The programs also are being used in other Oklahoma districts, such as Lawton Public Schools. Instead of removing students from school, Lawton is training teachers to encourage better behavior and is placing more students in an alternative school. As a result, district officials say, two of the three Lawton schools with the highest suspension rates, Eisenhower and Tomlinson middle schools, have seen fewer students disciplined in the past three years. Tulsa Public Schools also disciplines minority and special education students at higher rates than other students, federal data show. The district has some of the highest expulsion rates of special education students in the state. The district’s officials who oversee discipline did not respond to requests for comment. In Oklahoma City, Bell said the goal is to teach the appropriate behavior expected in the classroom. The effort also means involving police less often. In the past, students who got into a verbal alteration could be suspended and referred to police. The district may still suspend students, but is moving away from involving police for offenses that don’t involve weapons, drugs or violence. The district is also looking at using graduated levels of punishment, such as a verbal warning for the first offense, a principal meeting for the second, and varying lengths of in-school suspension for subsequent ones. Allen said teachers are concerned about classroom safety for themselves and other students. They also assert that students referred to the principal’s office are not being punished and that the district is artificially underreporting discipline numbers. Pushback at the school level has come in various forms. “As you know, we had a number of principals who chose to go somewhere else,” Bell said. Part of the issue in Oklahoma City, Allen said, is that many teachers doubt school administrators will abide by the new code of conduct. Allen and Bell both said many principals had failed to abide by discipline guidelines and often suspended students for offenses that called for a lesser punishment. Several principals also failed to document discipline. Racial disparities in discipline at Oklahoma City Schools caused Rep. Mike Shelton, D-Oklahoma City, to push a bill this year to prohibit the use of out-of-school suspensions of elementary school students for nonviolent offenses. Those include possession of drugs, alcohol or a weapon other than a firearm or violating school regulations. Districts would have to use other age-appropriate forms of discipline to correct the specific misbehavior. The bill didn’t make it out of committee. Brady Henderson, legal director for the American Civil Liberties Union of Oklahoma called statewide legislation a noble cause, but said effective discipline reform needs to be made at the district level. Other states have passed laws that helped drive discipline changes at the local level. In 2014, Maryland, overhauled its discipline guidelines and helped school districts change their codes of conduct to align with the state’s new policies, the state boards association study said. The changes allow principals to suspend students, but “the harshest penalties are reserved for the most severe offenses, and discipline practices overall focus on rehabilitation,” the study said. Even with the new programs, districts have to do a better job of tracking discipline data to ensure they are getting results, Henderson said. In Oklahoma City, many school officials said they were surprised when an audit showed the disparity in discipline rates between black and white students. “Nobody is going to address the problems if they don’t know about them,” Henderson said. Ignoring the problem brings its own risks for districts. The U.S. Department of Education has cracked down on racial and other disparities in discipline and services, regardless of whether the disparities are intentional. Three investigations focus on Oklahoma City Public Schools: One examines racial disparities in discipline; another access to services for special-education students, and a third differences in access to programs between boys and girls. Lawsuits also are a risk. Attorneys who represent parents with special-education children say it’s only a matter of time before a parent sues the state or a district alleging discrimination and denial of services. However, parents interviewed by Oklahoma Watch said they would rather avoid a protracted legal fight and instead have districts promptly respond to their children’s academic and behavioral needs. Colombi, of the American Institute for Research, said improved discipline policies are a step in the right direction to ensure all students have a chance at a good education. Oklahoma Watch is a nonprofit, nonpartisan media organization that produces in-depth and investigative journalism on a range of public-policy issues facing the state. For more Oklahoma Watch content, go to www.oklahomawatch.org. A federal civil rights agency has opened its fourth investigation into Oklahoma City Public Schools. The investigation examines whether the district applied different treatment, exclusion or denial of benefits to students with disabilities.